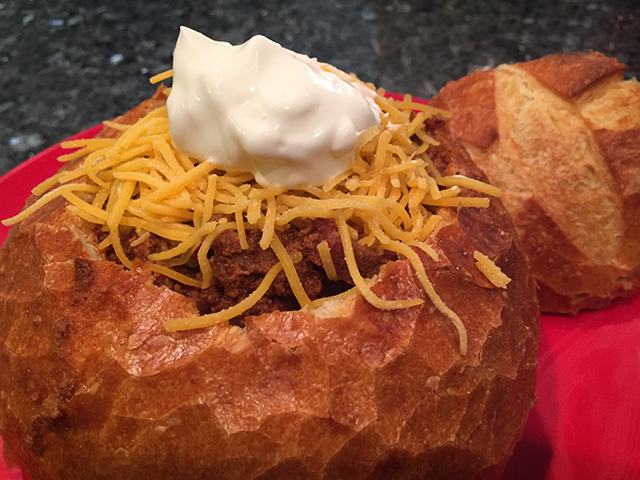 Nothing says comfort like a hearty bowl of chili, put it in a sourdough bowl and it’s that much bettter. 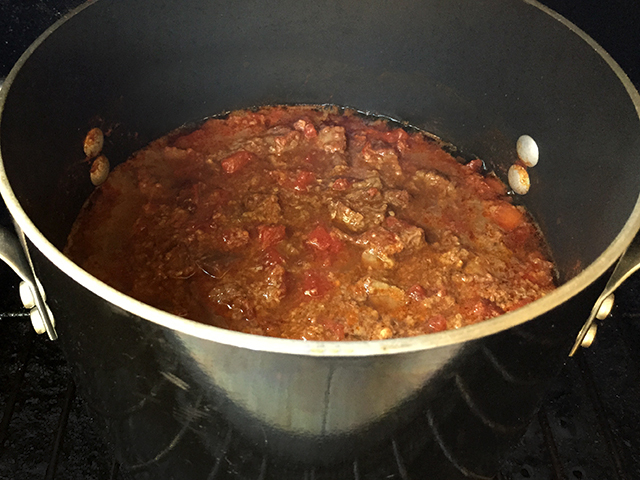 This recipe is a traditional meaty chili (beans optional), combining hamburger with smoked tri tip and a rich blend of spices. First filet the tri tip (this allows more smoke, since we will be cubing it we wont worry about moisture) and season the tri tip using GMGs South of the Border Rub. 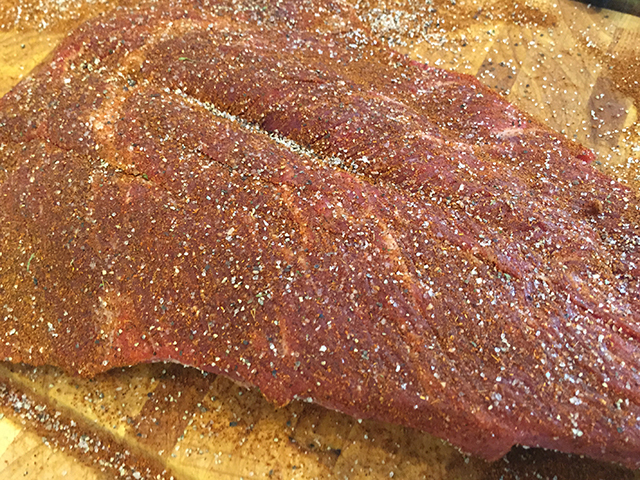 Smoke your tri tip at 235 degrees until the internal temperature hits 140-150 (about an hour). When the tri tip is done let it rest for 10 min and then cube into 1/2 inch pieces. Put the tri tip into a large stock pot and combine all other ingredients into the pot including the raw hamburger. Place your pot back into the smoker turning it up t0 300f. Continue to cook for 2 1/2 to 3 1/2 hours or until the the tri tip is tender and the chili starts to thicken. Add to a sourdough bowl and top with cheese and sour cream to complete your meal. Then sit back and enjoy!